This is one of the family favourites. Even though I’m not one to eat much lamb for personal reasons, the children really like it and getting my eldest son to eat meat can be a struggle. 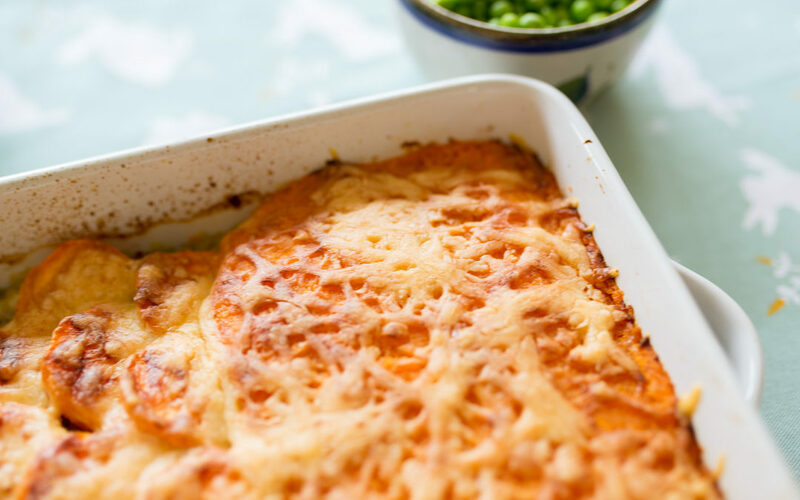 Served with peas or a salad, this is an easy and tasty family meal. Preheat the oven to 200°C/180°C fan/Gas 4. You will need a 26x36cm (or similar) oven dish. Peel the sweet potatoes and cut them all about 1cm thick, Put them in a saucepan, cover with cold water and bring to the boil. Once boiling, cook for 5-10 minutes until tender, then drain. In the meantime, chop the onion and pepper very finely (I use a food processor). Heat a frying pan with a small amount of olive oil and sauté the onion and pepper for 5 minutes until softened. Add the lamb mince and mix well, and continue to cook for another 5 minutes until the mince is browned all over. Put the lamb mixture into the oven dish and stir through the mint sauce. 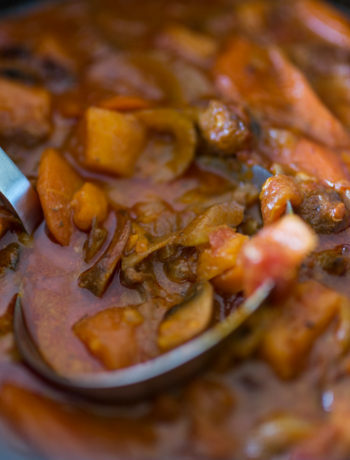 Place the slices of sweet potato over the meat, overlapping a little. Sprinkle the sweet potato with the grated cheese and bake for 20 minutes-the cheese should be bubbling and golden.